A stylist for over 15 years, Eddie has worked backstage at runway shows in New York and Milan for fashion designers such as Calvin Klein, Ralph Lauren, Hugo Boss and Diesel. His celebrity clientele includes Renee Zellweger, Vincent D’Onofrio and Jaime Pressly, and his editorial work has been featured in InStyle, ELLE, People, Glamour, Cosmopolitan, SELF, Town & Country and Allure. 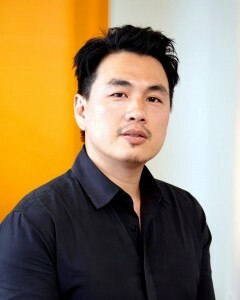 A native of Hong Kong, Eddie moved to New York in 1994 and trained at John Frieda, Oribe and Rita Hazan. Haruo Noro was pleased to extend a personal invitation to Eddie Ngai to serve as lead stylist/creative director of the Haruo Noro Salon when he moved to Hawaii. Eddie is available on: Monday, Wednesday, Thursday, Friday & Saturday.